Glee Returns This Week on Fox! The last thing the Gleeks remember about Glee is that Rachel (Lea Michele) and Finn (Cory Monteith) were seconds away from getting married. They were waiting on Quinn (Dianna Agron) to get to ceremony when everyone's fave Cheerio became a teen statistic by being involved in a texting while driving car crash. Then the dreaded "To Be Continued" faded onto the screen (OH NO)! 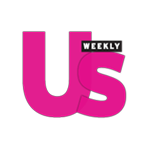 Gleeks can now rest easy and take a small break from the message boards because the hit series returns tomorrow at 9/8 Central time answering the dramatic cliffhangers of Quinn’s car accident, Finn and Rachel’s wedding and Sue’s (Jane Lynch) pregnancy, as graduation at McKinley High approaches. 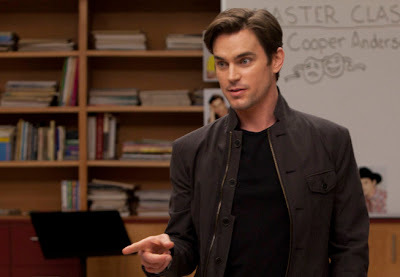 In the Spring Premiere “Big Brother” episode airing tomorrow, Tuesday, April 10 (8:00-9:00 PM ET/PT), Blaine’s (Darren Criss) big-shot Hollywood actor brother Cooper (guest star Matt Bomer, “White Collar”) comes to visit. He teaches an acting master class to the glee club and the gang heads to an amusement park for senior ditch day. This is all leading up to the finale and creator and director Ryan Murphy has promised that key people will be graduating like Lea Michele, Cory Monteith and Chris Colfer. The 4th season of Glee has been confirmed by FOX and rumor has it that Murphy has come up with some creative ways to keep some of the key players in for at least one more season. We shall see! For now you can check out some exclusive photos from tomorrow night's big spring premiere! Vanessa Lengies, Naya Rivera, Heather Morris, Harry Shum Jr. and Mark Salling go to an amusement park for senior ditch day in "Big Brother," the Spring Premiere episode of GLEE airing Tuesday, April 10 (8:00-9:00 PM ET/PT) on FOX. 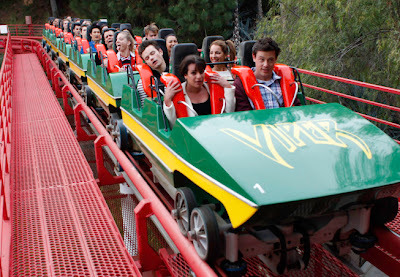 The Glee gang trades in reading for roller coasters during senior skip day on Glee but wait... aren't some of those glee clubbers suppose to be juniors? Oh television! Matt Bomer trades in NYC and the Hamptons for Lima, Ohio to teach the Glee club an acting master class. Cue Rachel thinking she knows it all and Santana shutting her down with some sassy yet amazing quips! For more Glee check out thier Facebook page by clicking here.